The Arctic White cleans, buffs, and dusts your vehicle to perfection! You can never have too many types of microfiber! The Arctic White Microfiber Towel is a soft, 80/20 blend of polyester and polyamide with excellent absorption and a soft feel. It is strong enough to be used for cleaning but soft enough to buff away quick detailers. Add the Arctic White Microfiber Towel to your detailing arsenal. The Arctic White Microfiber Towel is perfect for buffing because it has a deep pile where dirt and dust can accumulate away from the paint, rather than being rubbed into the paint. 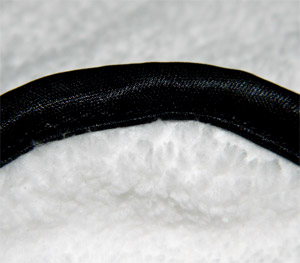 Plus, the long, silky microfibers do an excellent job of wiping away fingerprints and smudges. A satin border eliminates snagging as you glide the towel over the vehicle. Dampen the Arctic White Microfiber Towel with water to turn it into an all-purpose cleaning towel. Use it dry to quickly dust off your interior surfaces. 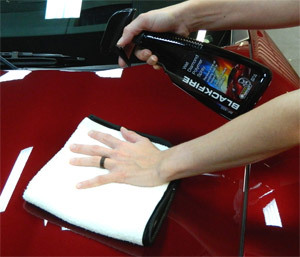 Buff your vehicle when applying quick detailers or waterless washes. Because it’s microfiber, the towel has a tremendous capacity for water. Microfiber is incredibly durable! The Arctic White Microfiber Towel lasts through countless washes and uses. The white color makes it easy to designate these towels for certain tasks to prevent cross-contamination. Pair the Arctic White Microfiber Towel with a quality microfiber detergent, such as Pinnacle Microfiber Rejuvenator, and your vehicle's delicate finish will enjoy years of pampering from one of the finest microfiber towels available. These are great towels. They're large, very soft, and effective. They're the last towel I use for final wipe-down after I've removed the final coat of wax with a microfiber bonnet on my buffer. They do a good job. ConsThey're priced right at that point where I'm still willing to pay the asking price because these are great towels, but they're just that little bit too expensive so I choke while I'm forking over the money. Perhaps if there were four in a package I'd feel better. I bought these for use on a black car, and that was not the greatest idea. I planned to use them as detailing cloths to apply some spray on wax after a wash and I had to switch to another microfiber rag after just one section because it was covered in white lint. These were washed with a mild detergent before first use, I will try washing them one more time before just tossing them. Used this towel to buff Pinnacle Souveran Wax just excellent results.